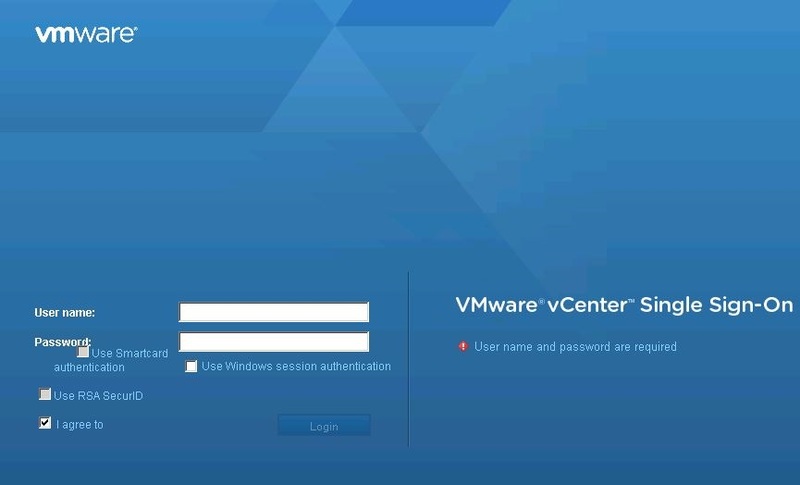 After an upgrade of a VCSA 6.0U1 to 6.0U2, I was unable to login to the vSphere web client. Also the login screen was a little bit messed-up like you can see on the screenshot below. When I entered a login name and a password it directly showed User name and password are required, like if I would have entered no data. All my browsers showed the same behavior, so I didn´t thought it could be browser related in the first place. The vCenter server in general was working, I could login to the C# client and all services on the VCSA where running. The final solution is super simple but it took me some time (after additional restarts of the web client service etc.) to figure out that it was indeed related to my browsers. After I cleared the cache of all my browsers the login screen looked normal again and a successful login was possible.